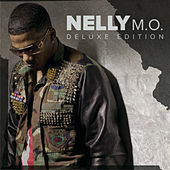 What is Nelly's M.O. in 2013? He doesn't have much juice left as a rapper, but he can still land an occasional pop hit, like with Florida Georgia Line's multiplatinum "Cruise" remix. (The duo repays the favor here with "Walk Away.") Yet instead of further exploring his New Country persona, he splits himself in sundry directions, from going ham in the clubs with Future ("Give U Dat"), T.I. and Pharrell ("IDGAF") and Nicki Minaj ("Get Like Me"), to letting Trey Songz hijack the airy EDM-pop of "All Around the World." Time will tell if another hit lies amidst it all.